An Independent Medical Evaluation (IME) is an objective third party medical assessment that offers a medical practitioner’s opinion on an individual’s diagnosis and conditions. These assessments are conducted when a person has been involved in an accident where they have sustained significant injuries and are seeking compensation. When this is the case, a second unbiased opinion is needed to confirm or deny the claims of an individual’s injuries. Our physician will be responsible for assessing the patient and provide an opinion on the individual’s injuries. In the process of preparing an Independent Medical Evaluation (IME) report, the physician will conduct a structured interview, standardized testing, interpretation of the findings and a final report in a non-biased professional manner. This appointment does not allow for the typical patient-physician relationship and is strictly a third-party assessment. If the injuries sustained fall outside the Minor Injury Guidelines. The report will highlight restrictions and difficulties an individual may face due to their disabilities following the accident. As well, the report evaluates a person’s ability to mentally and physically function performing various everyday tasks. The report can be used to confirm benefits, coverage, or settlements to the individual. In order to have an efficient and effective appointment, there are ways to prepare for your assessment. These appointments can typically last over two hours and we ask that you please plan your time accordingly. 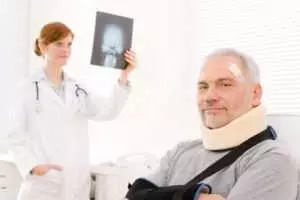 Be aware that the physician will be conducting an interview with you to get to know the extent of your injuries and understand what happened from the accident. Prepare yourself; you will be asked many questions about the accident, as well other relevant topics including but not limited to; your past medical history, recent diagnostic imaging related to the accident, current pain areas, occupational status, and abilities to function through daily activities.